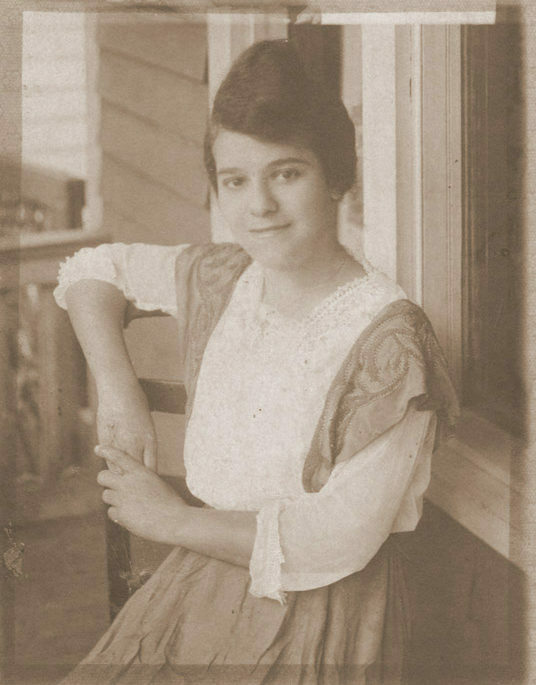 Daisy Pearl Turner, Montgomery, Alabama about 1913. I always wondered about Duncan Irby, my Aunt Daisy’s lost love. Over the years I looked for him online, with no luck. Recently, I tried again. Lo’ and behold, I found Duncan Irby in Selma, Alabama. There was a small item from The Emancipator. Records and more news items began to show up. In 1980 my mother wrote her memories of family memories. They proved to be an invaluable source when I started my research. She wrote the following about her mother’s sister, Daisy Turner. Some of my mother’s memories were a bit off, but close enough that I recognized Duncan Irby when I found him. “Maybe here a word about Aunt Daisy. Look at her picture, sweet, soft, pretty, taught school awhile in Montgomery (with high school diploma) loved Congregational preacher named Duncan Erby who loved her and waited for her for years. Had the church in Buffalo, NY. Whenever she really considered leaving, Grandmother did the old guilt trick “How can you leave me to take care of Alice all by myself?” and “No man in this world is good enough to touch your little finger. They are all no good except (maybe) Shell.” (note: Shell referred to my grandfather, Mershell Graham. )and Daisy listened and stayed and played numbers, studied dream books and drank a little apricot brandy. I always found their house light, cheerful, full of magazines (McCall’s, Journal, etc.) which I loved to read, full of good things to eat. All three were super cooks and they had always just had a bunch of friends to dinner and to play cards or just about to have. “Mr. Duncan Irby, accompanied by his mother and little sister, also Mrs. Mollie Dillard and Miss Daisy Turner, motored from Selma to this city last Sunday and visited Camp Sheridan.” The Emancipator, Montgomery, Alabama Sat. Oct 20, 1917. Duncan Irby was five feet nine inches tall, stout, light complected with brown hair, brown eyes and freckles. Duncan’s parents, Duncan Irby, Sr and Mary Smith were married in Selma, Alabama on Christmas Eve, 1890. Mary was the daughter of a house painter. Duncan’s mother, Emmeline Gee, inherited over 100 acres and a horse from a former enslaver Josiah Irby. I do not know if Emmeline was enslaved on Irby’s plantation. At his mother’s death, Duncan was to inherit the property. After this, Duncan used the surname “Irby” instead of “Gee”. I do not know if they were allowed to take possession of the property. Both Duncan Sr and his wife Mary were literate. His mother lived with the family until her death in 1901. The Mary Smith mentioned in this article was Duncan Irby Sr’s older sister. It was very confusing to have so three Marys (sister, wife and daughter) and two Duncans (father and son). The younger Duncan Irby was born in 1892. The following year Duncan Sr, a blacksmith, suffered injuries when he was trampled by horses while making some repairs on a hack. He recovered. Mr. Duncan Irby Seriously Injured. Mary, Duncan Sr and Mary’s only other child, was born the following year. Both Duncan Jr and his sister Mary attended school. In 1908 they were both enrolled in Talledega College, a boarding school, in the College Preparatory Course. They studied Latin, Algebra, English Literature, Ancient history and Drawing along with hands on courses in Agriculture and Wood-Turning for young men and Dressmaking and Nurse-Training for young women. Mary became a teacher. She married Edwin Gibson, a teacher and a principal. They had one son, Edwin Gibson Jr. They later divorced. Duncan worked with his father in his blacksmith shop and later became a mechanic. The elder Duncan Irby died in November of 1915. Duncan Irby senior, left everything to his wife Mary with the proviso that should she ever remarry, everything would go to their children. Duncan Irby’s widow, Mary Irby, remarried in 1921. She married Rev. Marshall Talley and that is where my mother got the minister. The family relocated to Homestead, Pennsylvania. This was the move to the northeast. Duncan was 35 in 1930 and worked as an auto mechanic in Homestead. Several years later, they all relocated to Indianapolis, Indiana. Duncan, his sister Mary, who was divorced from her husband by this time and her son Edwin Gibson Jr. formed a household. Edwin Jr grew up to become a well known architect and the first black architect registered in Indiana. In 1966 Duncan Irby died of pneumonia brought on by lung cancer. He was 74 years old and had lived in Indianapolis for 34 years. He never married. This is my first story for #52Ancestors. In this series of 52 posts this year, I will not only use my own ancestors, but often their friends or members of their communities as I believe I can understand my family better by knowing who they associated with. In writing this story I used writings by my mother, Doris Graham Cleage; Census, death, and other records from Ancestry.com and a surprising number of news stories found on Newspapers.com. I discovered I could share them by embedding them in the post and may have gone overboard.